Howling Moon Australia are a roof top tent company based on the Gold Coast, Australia. 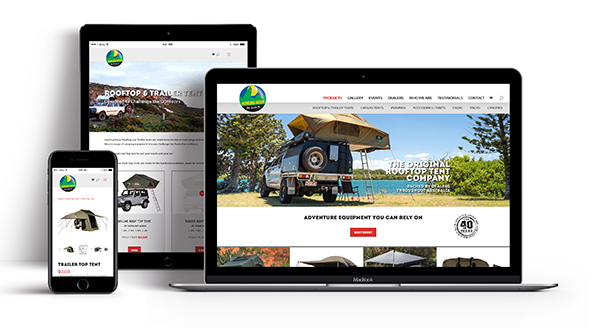 They were requesting for a new website to be designed with an online shop for their camping products. The website needed be fresh and clean, easy to navigate, with PayPal and ZipMoney for easy payment methods. The site needed to be SEO friendly and be optimised for mobile and tablet.